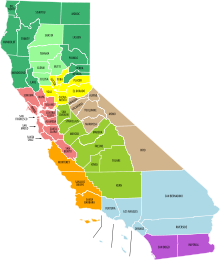 Despite regionalization failing miserably in the European Union, California is proposing to adopt it as a tax-sharing policy for distributing state funds to local governments if voters approve Proposition 31 on the November ballot. Prop. 31 is a combined new law and state constitutional amendment sponsored by the California Forward political action group. Nicolas Berggruen, a European billionaire, is the biggest sponsor of California Forward with a $1 million donation to the pro-Prop. 31 Campaign. Berggruen owns the IEC College of vocation schools in California and is a registered Democrat in Florida. He founded the Council for the Future of Europe, which has proposed “fiscal federalism and coordinated economic policy” to rescue the European Union from its debts. Urbanologist Wendell Cox writes that “regionalism” is an emerging policy of the Obama administration, as described in Stanley Kurtz’s new book, “Spreading the Wealth: How Obama is Robbing the Suburbs to Pay for the Cities.” Kurtz is a social anthropologist from Harvard. According to Cox, regionalization strategies are “aimed at transferring tax funding from suburban local governments to larger core area governments.” The Prop. 31 version of regionalization would not amalgamate city, county, special district and school district governments. Nor would it create new taxes. But it could authorize the state to withhold or divert taxes from local governments unless those governments adopted a “Strategic Action Plan” to distribute the revenues from the suburbs to the large urban cities. In essence, a Strategic Action Plan, or SAP for short, would sap the wealth out of suburbs. SAPS might also sap the bond ratings from suburban communities. Probably one of the most controversial provisions of Prop. 31 would grant the governor the power to cut or eliminate any existing program during a “fiscal emergency.” In essence, the governor could usurp local government decisions on where to spend state funds. Budgets for local public schools, community colleges or cities could be cut at the whim of the governor and the funds diverted elsewhere. The governor could conceivably use new emergency powers to divert state funds to his choice of regional Strategic Action Plans. Public unions have historically been concerned about granting the governor broader emergency powers. On July 11, 1999, the Gov. Gray Davis administration called legislative committee chairpersons to inform them that the governor intended to direct the outcomes of selected funding bills without consulting their authors or the legislature. The leaders of the legislature at that time — Assembly Speaker Antonio Villaraigosa, D-Los Angeles and Senate President Pro Tem John Burton, D-San Francisco — called Davis’ actions a “totally improper intrusion into the legislative process.” The concern was that Davis was going to kill a bill sought by labor unions to increase workers’ compensation benefits. This explains why the Democratic Party is currently opposed to Prop. 31 giving the governor emergency powers over the budget. Also, any consolidation or revenue sharing arrangement of local governments might lead to the heads of local unions losing their jobs if absorbed into a larger union. Oddly, the California Republican Party supports Prop. 31. This is because Prop. 31 is being misleadingly advertised as a government budgetary efficiency measure. But a two-year budget and performance budgeting do not need the approval of voters to be implemented. The proponents of Prop. 31 may say that the Tea Party and those opposed to fiscal regionalism are over-reacting to its provisions. But why are the proponents trying so hard to sell Prop. 31 as a budget reform and government performance measure with little mention of its tax-sharing provisions? The East Bay Tea Party has more accurately perceived the dangers with Prop. 31 as the creation of a “super” layer of government that cannot be held accountable by local government elections. Unfortunately, the paranoid Tea Party also fears that Prop. 31 would measure the “performance and accountability” of local governments by United Nations Agenda 21. No doubt this sort of paranoia reflects the powerlessness and political marginalization of the Tea Party’s members in California. But such paranoia gives the opponents of the Tea Party reasons to discount them as “wing nuts” not to be taken seriously. California Forward is selling Prop. 31 to the public as “trustworthy, accountable for results, cost-effective, transparent, focused on results, cooperative, closer to the people, supportive of regional job generation, willing to listen, thrifty and prudent.” The touted provisions of Prop. 31 call for a “two-year budget cycle” and for “performance budgeting.” Prop. 31 is officially titled “The Government Performance and Accountability Act. California Forward makes no mention in its filing or in its official ballot argument in favor of it that Prop. 31 will socialize state revenue sharing. And the analysis of the California Legislative Analyst is so neutral and narrowly focused that it is does not help the public understand the importance of the tax-sharing aspects. The ballot arguments in favor and against Prop. 31 also ignore that it would socialize local government taxes by regions. Safires’ Political Dictionary defines “tax sharing” as “collection of revenues by the (state) government, returned directly to the (local) governments without (state) control of expenditures.” Prop. 31 would go beyond merely returning tax revenues to local governments without controls and conditions attached. It would be prone to abuse for funding political cronies and political earmarks. History indicates bureaucratic agencies have a way of not ending up as policy makers intended. There is no way of knowing whether Prop. 31 would end up as some form of “Tennessee Valley Authority” that would usurp local governments and would be self-perpetuating without any sunset provisions. Voters on both sides of the political spectrum should be concerned about the implications of Prop. 31. I had no idea that more centralized government and wealth distribution was a part of Proposition 31. This is NOT GOOD. The measure has been advertised as “the 2-year budget proposition,” something that of course a lot of us would like to see. I wonder if this other part of it is generally known. This is California carrying through on Obama’s promise to “spread the wealth”. In truth, the plan is to concentrate the wealth into the hands of the politicians so they can redistribute it to the special interests of their choice (i.e., public employee unions, political backers, etc.). One thing is for certain, if you’re a state official or a public employee, life is great in California because you ARE the ruling class. California is beginning to look more like a 3rd world country with each passing day. The sick part of it is: some people think this is a good thing. This “WONK” stuff could drive you nuts. We get it. Only PACK AND SHIP is the remedy! Thank you all , to wherever you all moved. Labor Day Blow Out……all boxes 30% off our everyday high(oops) low low prices! all good points on the wonk stuff u haul. Prop 31 is exactly the reform California needs right now. Required auditing of departments means no more secret Parks Department slush funds. No more last minute, backroom gut and amend bills means less special interest control over Sacramento. Required specification of funding sources means less out of control spending. EXACTLY What Sacramento needs right now! state program at least once every five years. In addition, it will curb out of control spending in Sacramento. When creating a new, they must explain where the money will come from, and why money from the budget should be used for their specific program. They will be held more accountable for their spending, making them think through spending decisions, instead of frivolously spending our tax dollars. Overall it will do a great deal to make Sacramento more accountable to the people. I assume you are both from California Forward but refuse to identify yourself. Why? There are existing laws on the books that require transparency and accountability and performance. You have not made your case to the public that yet another layer of such laws is needed while masking the tax sharing aspects of Prop 31. If you are for transparency why are you covering up the tax sharing facet of Prop 31? I think the answer is obvious to most voters. I agree with Rosie and Jordan and fully support 31. I for one Wayne am tired of the same old special intrest crowd with their gut and ammend tactics! Sweet sorrows or does hope spring eternal! Read some Browning and Pope and relax. Nothing changes for the sheep. Robbing the suburbs to pay for the cities is Agenda 21, Nancy Pelosi brought this to CA, she supports this bs always has. Only reason unions are fussin is cause it gives politicians more control then it does unions. For u to say it’s only repubs who support this is a LIE…Democrats have been supporting UN Agenda 21 for over 30 years…U will all be living ontop one another soon, the rich left such as Soros/Pelosi will be the only ones allowed to own farms/country property…Go ahead vote democrat. Wayne: What’s California Forward? I’m being serious, I’m not familiar with the group. I’m just a PoliSci student from UC Davis. The existing laws are CLEARLY not doing a good enough job. Are our departments audited? No, and look what they found in the parks department. Is our legislative process transparent? No, gut and amend bills are exceedingly common, as is backroom special interest legislating. Are specified funding sources required? If they are, that law is being ignored. Prop 31 could help save California from the early grave we’ve dug ourselves into. Most bills look really good at first glance, right? Same gig here. Bait and switch effect Rosie. Let’s revisit the proposition that set a limit on our state budget back in the early 2000s. Some years later (2008 I think?) we as residents of California voted yes on highway funds and thus eliminated the original limits set by the earlier leglislation. Do not trust this Rosie. Also, let’s talk about the state raising any taxes for any reason while businesses are facing increases in workers compensation rate increases of up to 35% this coming year. This according to three providers I received quotes from this past July. John– When you say Obama, do you mean President Obama? What are you talking about, Robert? What the author refers to is in there. What were the Republicans smoking at their convention? Prop 31 is right out of Kurtz’s new book, noted above. The idea for this is conceptually the same as the Chicago-Alinsky-Obama “Build One America” playbook for the suburbs, and for the same reason: socialistic redistribution of wealth. It is organized theft of suburban wealth, as well as an attack on property, liberty and freedom. The Republicans were blind-sided and should go to the woodshed. Interesting article regarding Prop. 31. I’m not a member of the Tea Party, but have done a lot of research about UN Agenda 21. Mr. Lusvardi is completely uninformed in the area of Agenda 21 and its tentacles in our local, state and federal govt.’s I suggest that he do some homework before he makes such misleading statements regarding a group of people(the Tea Party). They are far more knowledgeable about what is really taking place under Mr. Lusvardi’s naive nose. Go to Edit and then Find on your menu buttons on your browser and see if you can find the words United Nations Agenda 21 in the text of Prop 31. As far as I can find it is not contained in the proposition. READ ALL THE COMMENTS AND FIND THAT WHEN THE GOV WANTS TO ADD MORE PROP’S TO THE BOOKS THEY ARE LAWYERS THAT WANT TO HAVE STRONG CONTROL OF THE PEOPLE AND THERE $ AND WHERE THEY LIVE. LIVING ON TOP OF EACH OTHER IS NOT WHAT MANY PEOPLE WANT. SEE THE STARS. PROP 31 READS (NOT GOOD FOR THE PEOPLE) SEE A GOOD LAWYER YOU KNOW. I was able to track the funding for this to George Soros. (ballotpedia-California Forward-California Common Cause)It is incredibly important to stop it. What do we do? On what basis are YOU “diagnosing” the Tea Party as paranoid? Just because they didn’t take the time to trace the entire linkage to prove their assertion does not make it false out of hand. By accusing the Tea Party of paranoia it is YOU who are quite unfairly marginalizing them! I encourage you to keep an open mind and learn more about the comprehensive nature of the U.N Agenda for the 21st Century and how it relates to so much of what is happening from the White House to our neighborhoods. The price of liberty is eternal vigilance. Other than your unwarranted condescension, this is a terrific and crucial article. Thanks for writing it.